If we were having coffee, I would greet you with a big smile on my face. This week has been gratifying. Why? Because I achieved so many of the things that I wanted to. I, of course, completed my assessment of my students – just in time to complete their report cards. Friday we had a PA day; that is, a day set aside during which teacher’s could work on their report cards. Last week I started toiling on them and, I am pleased to say, Friday I was able to complete them. They may need a tweak here or there, but for the most part they are done. It is a big relief and I am glad to have that task out of the way. 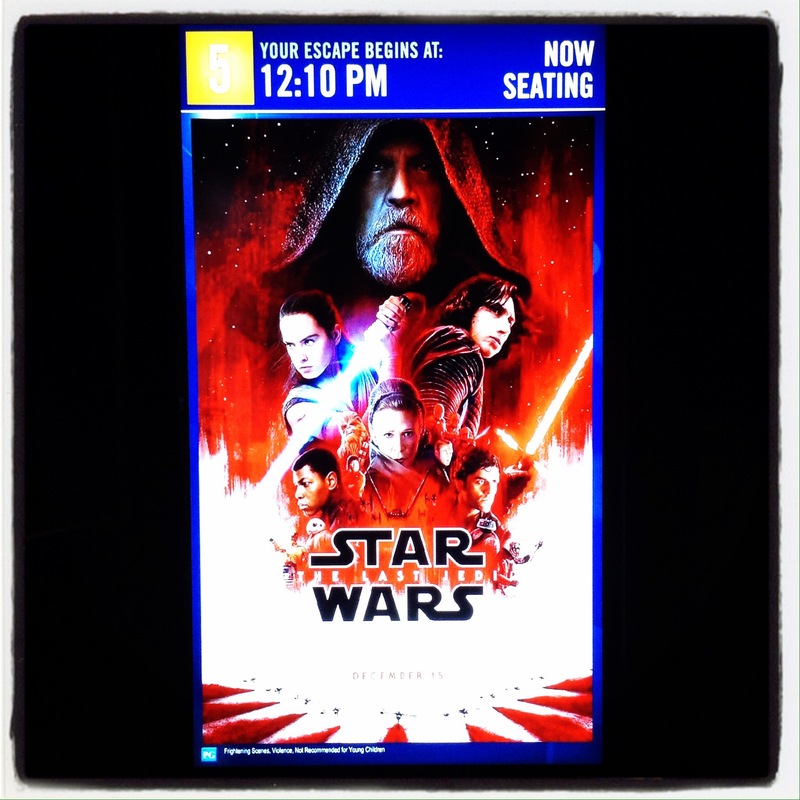 If we were having coffee, I would tell you that I FINALLY went to see the latest Star Wars movie, The Last Jedi. I had planned to see it with my family on my birthday – but we were too engrossed in watching Game of Thrones to go and watch an episode of another epic tale. My response? I loved it! And I am so glad I had the opportunity to go and see it on the big screen. I enjoy the story that runs through all of the films and I hope they do not stop filming the struggles of the Rebellion. I do not want to wait for over a decade to enjoy the scenes originally thought of by George Lucas. If we were having coffee, I would tell you that the last few days have felt like Spring. For the second time this year (that is, since the beginning of 2018), we are experiencing a Spring-like thaw. What a pleasure it has been to go outside hatless in 5c weather wearing a lighter coat. I am sure, though, that by the end of the week we will be experiencing Winter once again! If we were having coffee, I would tell you to enjoy your week. Now that my deadline for writing report cards has been met, I now have other obligations to fulfil. I would tell you that I don’t miss writing report cards one little bit now that I’m retired. There are days when I miss my colleagues but not the paperwork. Writing them is definitely my least favourite part of the job. Sounds like a satisfying week. Enjoy the one ahead, also. It was. I got a lot done. Have a wonderful week too Norah. A lovely coffee share, Colline. The heat wave here in South Africa continues with no rain. Hearing about your spring like thaws worries me – I think the weather patterns are definitely strange. I agree. It is unusual for us to have mild temperatures at this time of year – we are normally bundled up. So many good things. It sounds like you had a great week!! I’ve seen this idea of the “pretend coffee/tea party blog post” before, but never tried it myself. I really like the idea of getting to know a blogger better this way. It makes the rest of the blog more interesting as well. I love it too. Why don’t you join in? You also get to ‘meet’ new people when you visit coffee posts. I might just do that 🙂 Have a wonderful weekend my friend!